The origins of the Tarot deck are as mysterious as the cards themselves. As a professional magician, I owe an incalculable debt to the 52 pieces of laminated cardboard popularly known as the humble deck of playing cards. However, I am fully aware that the origins of the four suits are far more mysterious and profound than even the most mystifying card trick in the conjurer’s repertoire. It is widely accepted that the contemporary deck originates from the Tarot cards: that peculiar collection of colourfully illustrated rectangular pictograms which are most commonly utilised for divinatory purposes. Some Occult historians claim that the Tarot originates from the times of the ancient Babylonians and the Egyptians. There may be a grain of truth in this somewhat Romantic theory, but the earliest recorded proof we have of such cards being used (primarily for parlour games) dates from late Medieval times. The wealthier inhabitants of Milan and present day northern Italy could afford to have such cards produced and ‘the game of trumps’ became a popular pass-time for the upper classes. Nonetheless, those with a deeper awareness of the arcane would always maintain that the cards were more than mere accoutrements for frivolous flights of aristocratic fancy. The rich symbolism evident within the Tarot clearly illustrated something much more profound, enduring and mystical. The ancient mystery schools had long since communicated Truth in such a manner: through the use of signs, symbols and codes which could only be discerned by those of the appropriate spiritual disposition and awareness. 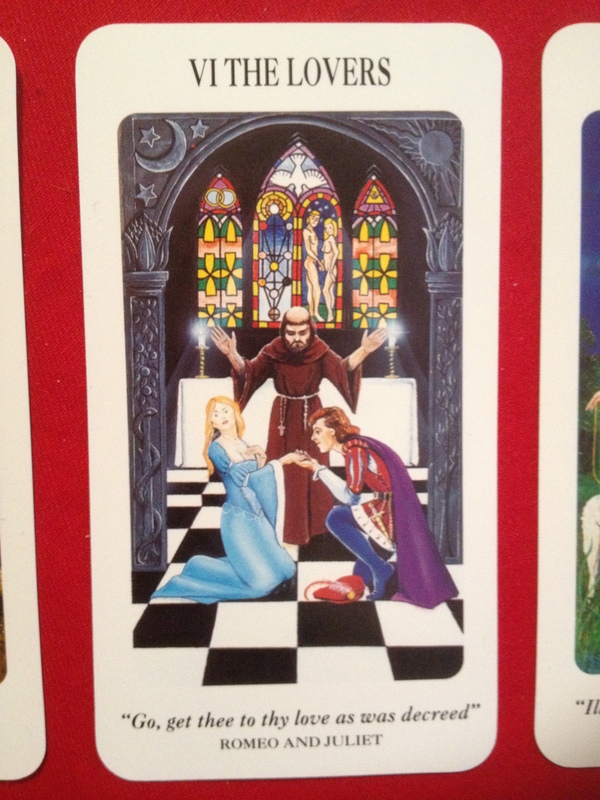 A Shakespearian Tarot Deck. 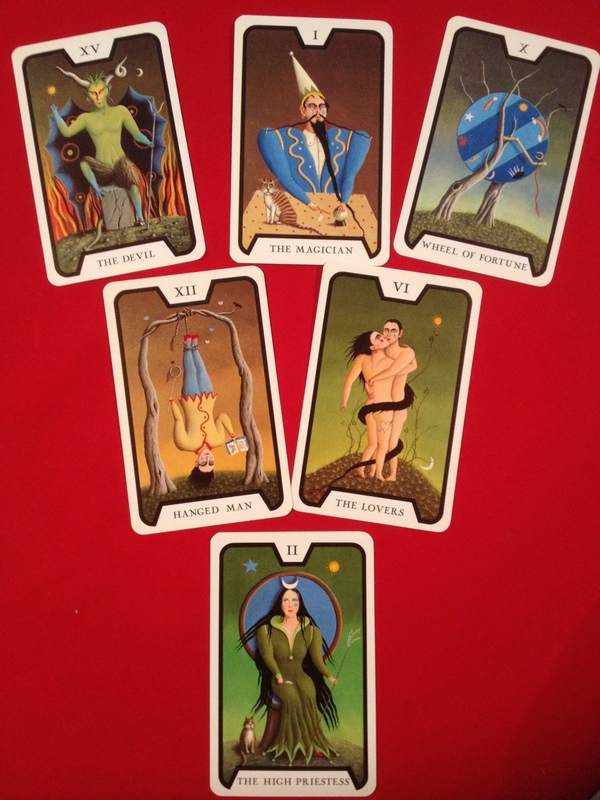 There are many designs of Tarot. 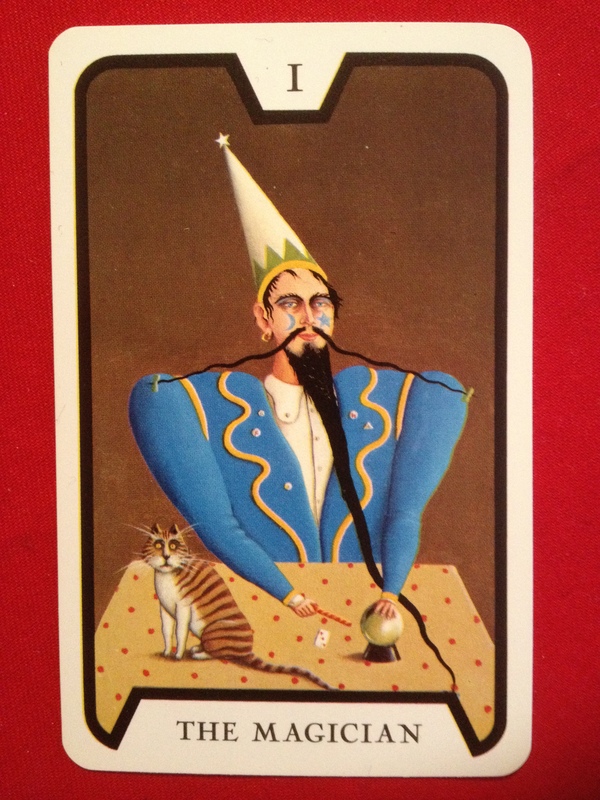 The Thoth Tarot deck is one of the most beautiful ever created. Aleister Crowley has bequeathed to posterity an incredible text entitled ‘The Book of Thoth’. This is a profound and engaging treatise on both the origins and significance of the Tarot. The Thoth Tarot Deck (which accompanies the book) is truly an exceptional work of art, and was finalised, after several years of toil, by both Crowley and Lady Emma Harris, who carefully painted each card to Crowley’s precise specifications. Indeed, her instructor often insisted that a deisgn be painted several times in order to capture the True essence of the particular pictogram. 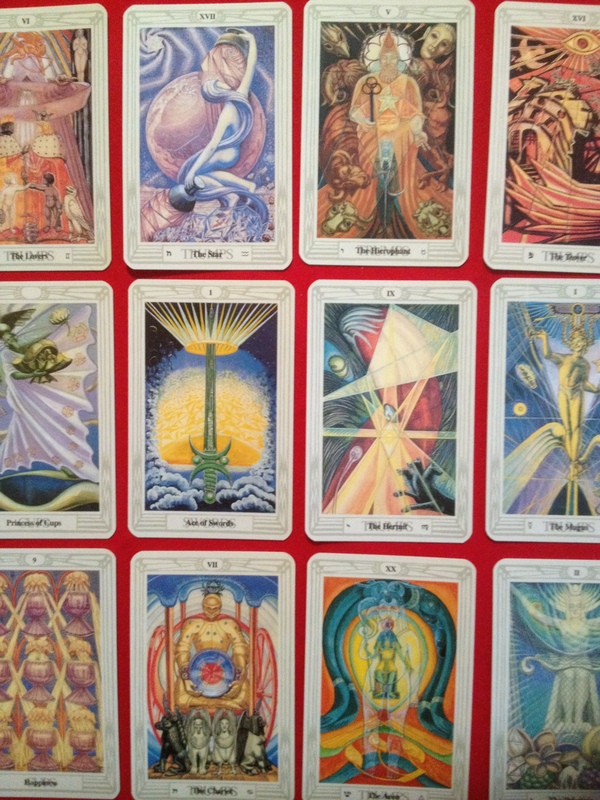 The Twenty Two Tarot trumps correspond with the paths on the Qabalistic Tree of Life, and the ten spot cards of each suit can be linked to the Sephiroth of the Qabalah in their corresponding element. Indeed, students with even a rudimentary awareness of the Western Mystery Tradition will glean much from working with this unique deck. 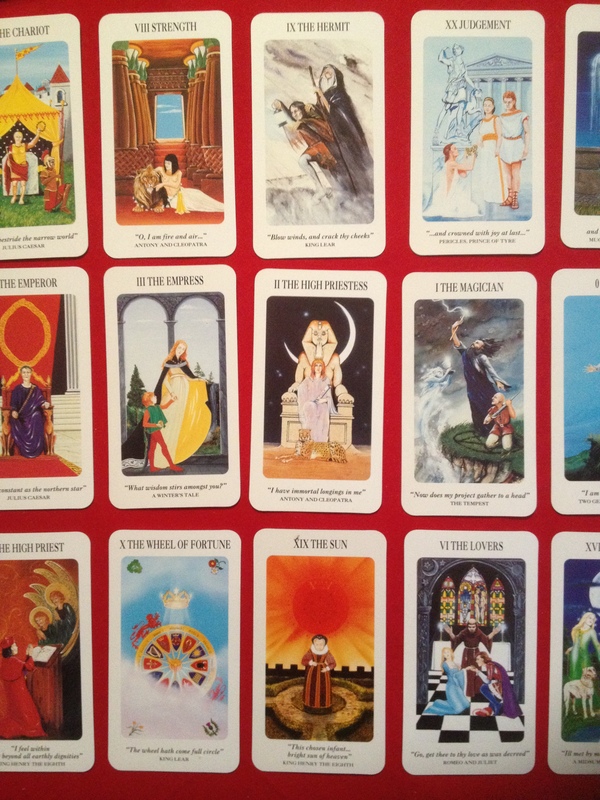 Consultation of the Tarot permits us to view the ‘bigger picture’. There are a variety of intriguing methods one can use in order to ‘divine’, or ask questions, with the Tarot. Some ‘spreads’ use several cards, whilst others may utilise the entire deck. I have personally found the well-known Celtic Cross method to be as effective as it is practical.